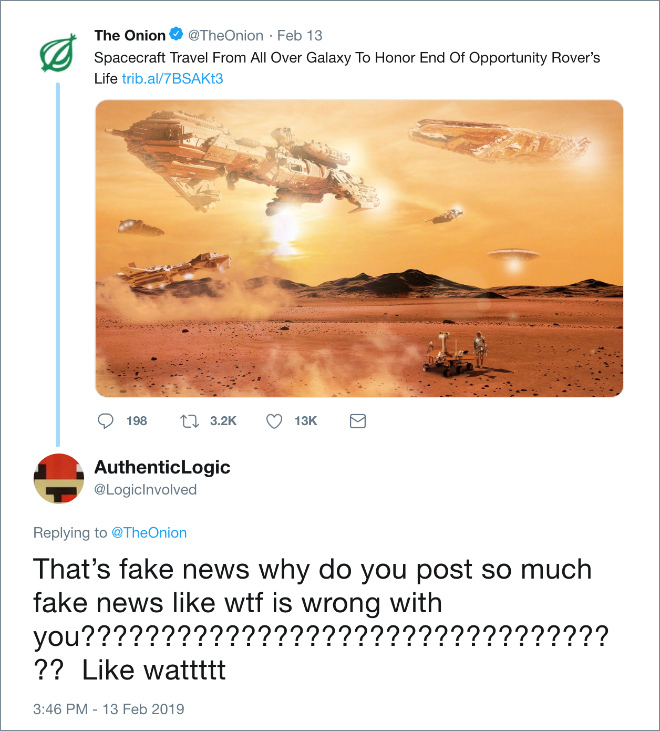 The American satirical media company "The Onion" had spread some fake news on the Twitter that made audience go crazy and of course ROFL! Well, let's look over some of the tweets! 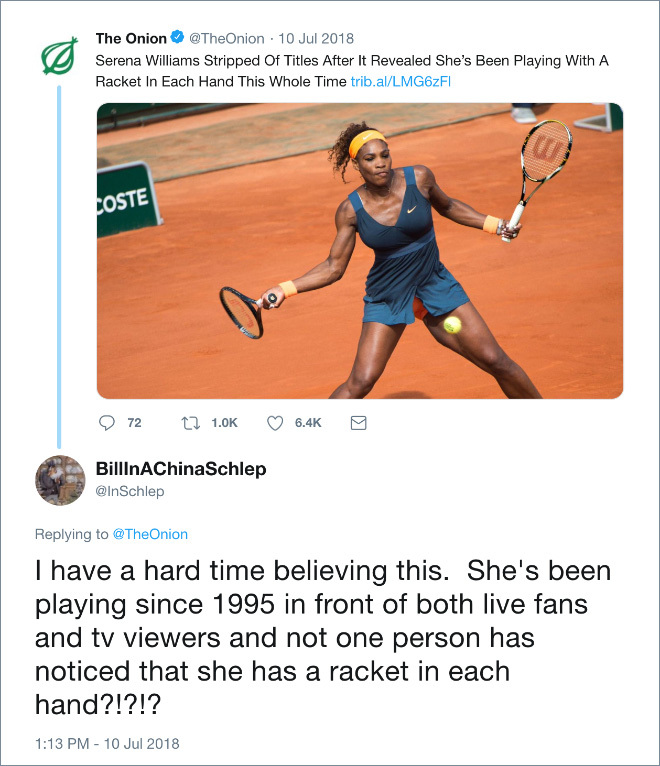 Well, she had an advantage! Well, the Onion is a big brand and people will obviously each of the tweets seriously! Well, the look on the Sandwich was totally understandable! He wanted to be Garlic bread. One of the users gone mad! Well, thanks to Opportunity who retrieved valuable data from Mars! It was not built to survive there for not more than three months! But it did! A time ago, The Onion posted fake news about Trump and he responded to the news by threatening to sue them! 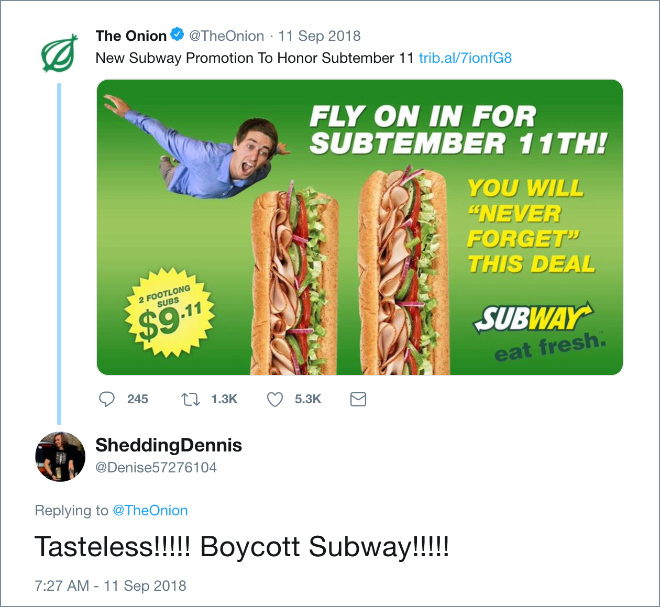 Well, Subway’s in my region are far inexpensive than the price mentioned here! 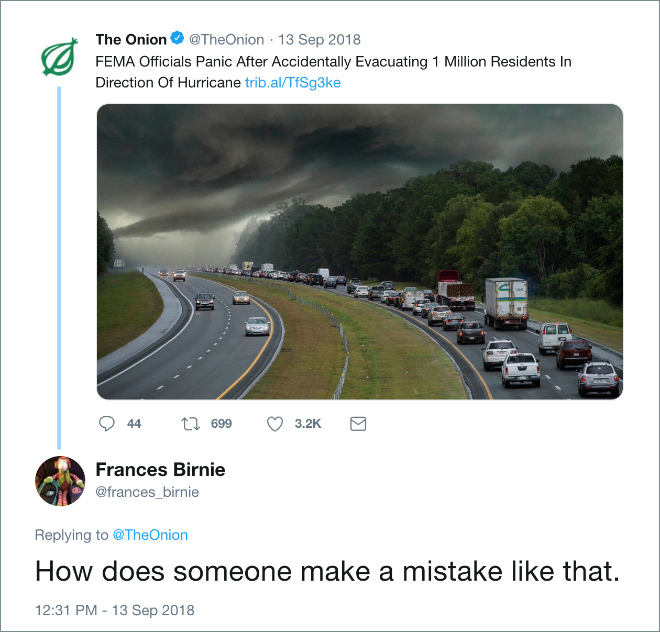 And how can you think that it’s real news, Frances? 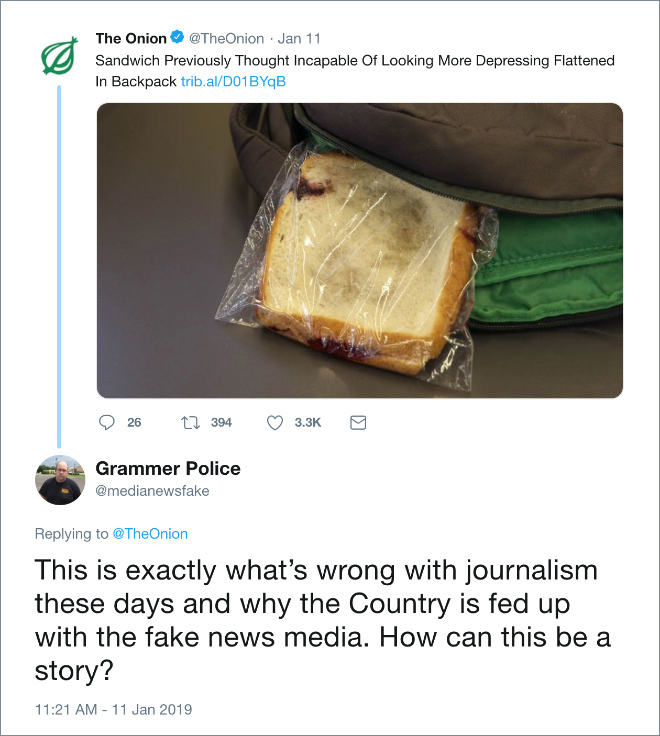 The thing you can do is to unfollow the Onion. Can’t blame the whole community, right? ‘I’ve always wanted to inhale clouds of dust without choking to near death. Curse, you allergies!”, the Twitter user wrote. 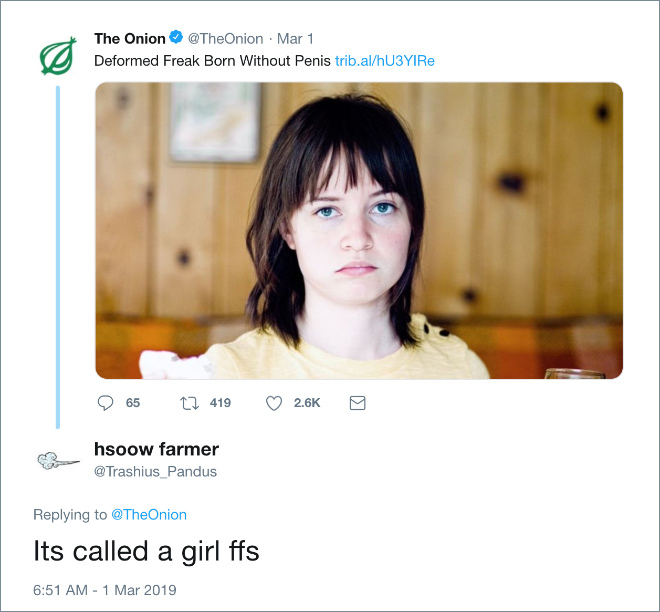 One of the Twitter users wrote, “Everyday is an April Fool’s day if you work at The Onion”. The Onion is the only agency that makes CNN more reliable. Well, thanks to FAA for looking towards the plane crashes! That’s why the world is still in a bad place! Thank you, God, for opening up the facts and telling us the truth!